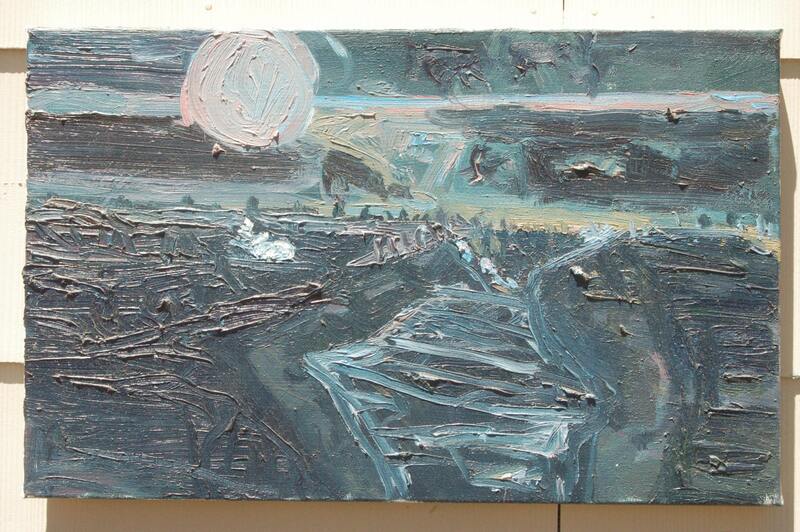 This painting of driving at night is "Untitled" . It is not signed, or marked with the year, but I would guess it to be 1996. It is oil on stretched canvas and measures 25" x 15 1/2" x 1 3/4".